Since 1985 what started with one man, Mr. Ramirez and one van has grown today to one of the largest privately owned air conditioning and home warranties companies in the State of Florida with more then 225 employees. Still to this day Mr. Jose Ramirez spends an average of ten hours per day in the office working with his elite team of twelve professional managers that handle every type of job imaginable. ECM is dedicated to providing fast, professional service with guaranteed total customer satisfaction no matter what! Still to this day Mr. Ramirez spends an average of ten hours per day in the office working with his elite team of twelve professional managers that handle every type of job imaginable. ECM is dedicated to providing fast, professional service with guaranteed total customer satisfaction no matter what! East Coast Mechanical, Inc (ECM Air Conditioning) of South Florida is a family owned business that has provided residential air conditioning, commercial air conditioning, plumbing and electrical service from Pembroke Pines through Vero Beach Florida since 1985. Headquartered in Boynton Beach, FL, ECM Air Conditioning has a fleet of 127 trucks on the road, seven days a week and regards complete focus on total customer satisfaction, so it’s easy to see why we have grown to one of the largest air conditioning companies in South Florida. We provide service 7am to 7pm, 7 days a week with no overtime rates during those times. Emergency Air Conditioning Service is available and provided to our customers in less than 60 minutes. Our air conditioning installations are designed & engineered for maximum performance. Our complete attention to detail, system design and engineering has made us extremely popular with consumers that understand that the actual installation of their new air conditioner has everything to do with the final SEER rating achieved. ECM Air Conditioning installs nearly three thousand six hundred (3,600) air conditioners per year. ECM Air Conditioning is the largest Florida Power and Light (FPL) Air Conditioning rebate contractor in the entire State of Florida. Our success is attributed to our ability to design and engineer more high efficiency systems that any company in Florida. Bottom line our engineering principals, save our customers over five thousand (5,000) dollars more on energy costs. ECM Air Conditioning is the largest privately owned extended service warranty provider in the State of Florida, ECM Air Conditioning is licensed by the STATE OF FLORIDA DEPARTMENT OF INSURANCE to sell extended service warranty protection plans covering your homes air conditioning, appliances, plumbing and electrical systems. 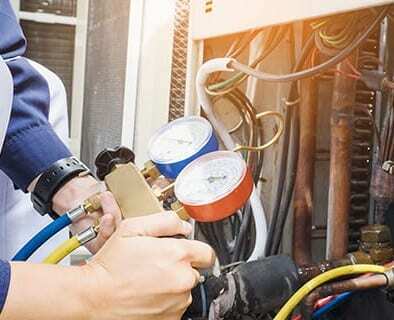 An extended service warranty agreement is similar to the warranty originally provided by the manufacturer of your homes air conditioning, appliances, plumbing and electrical systems. It’s an insurance policy that protects you against unexpected repair bills or costly breakdowns on any of your covered equipment. ECM’s Plumbing division services both residential and commercial businesses. ECM is a full service plumbing business that currently provides unlimited service and installation of plumbing fixtures, faucets, toilets, tubs, shower pans, Jacuzzis, sewer line cleaning, drain line cleaning, leak detection and water heater replacement. I have always been highly satisfied with their fast response and professionalism. After a very unpleasant experience with another service company, I switched to ECM about 9 years ago. I have always been highly satisfied with their fast response and professionalism. I have a whole-house maintenance plan and this week had a new air conditioner installed by ECM.